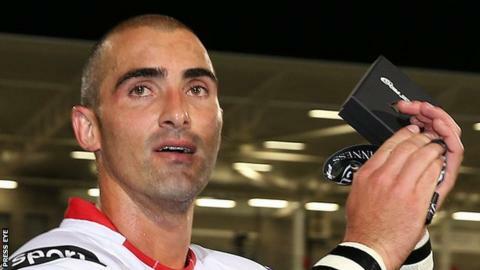 South African scrum-half Ruan Pienaar has joined French Top 14 side Montpellier on a three-year deal. Pienaar spent seven seasons with Ulster and had been keen to extend his stay with the Belfast club. But the Irish RFU told Ulster they could not retain the 33-year-old, claiming he was blocking the development of Irish-qualified players. Pienaar has said he would like to return to Ulster in a coaching capacity at some stage. On Tuesday Montpellier announced Pienaar had agreed a deal taking him up to 2020. They have also captured French number eight Louis Picamoles from Northampton and New Zealand fly-half Aaron Cruden.